This year, once again St. Aidan’s are taking part in the Team Hope Shoebox Appeal. 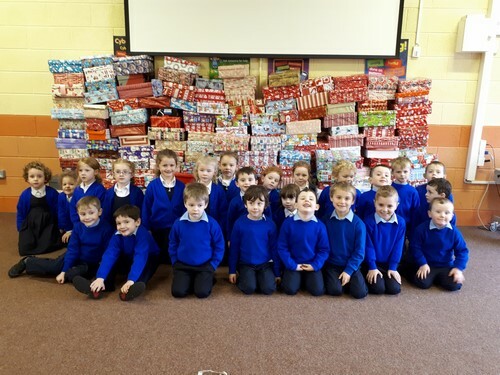 Well Done to all the pupils who donated 218 shoeboxes! Team Hope are busy ensuring the boxes are ready on time. 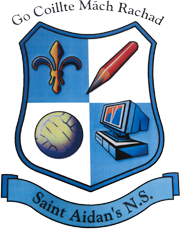 St. Aidan’s is consistently the best primary school in Mayo for donating to this cause. Thanks again to all the parents, grandparents and friends who filled shoeboxes. A special Thanks to Mr Donnellan who co-ordinates this event every year!